ACRRM is a GP specialist college with a broader scope of practice, and a focus on the needs of rural and remote communities. Do you want to be a better doctor? 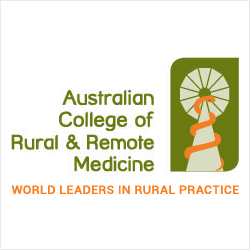 ACRRM was formed by rural doctors for rural doctors and is accredited by the AMC as a specialist GP College. Fellowship of ACRRM enables vocational registration and access to training for enhanced skills, confidence and competence to practice anywhere in Australia – urban, rural or remote. Our broader scope of practice, skills and training required, ensures doctors can take responsibility for anything presented to them and practice both competently and confidently in rural and remote Australia. Through our Advanced Specialised Training our registrars can select from 11 secondary specialised skill areas such as surgery, obstetrics, anaesthetics, emergency medicine or six other areas of expertise – all within a single Fellowship. ACRRM Fellows can be found working in private general practice, hospital-based medicine, Aboriginal medical services, retrieval and emergency medicine as GP anaesthetists, GP obstetricians and more; and often concurrently. Our training is flexible and tailored to your needs and career, while our robust assessments are designed to be taken throughout your training wherever you are located.